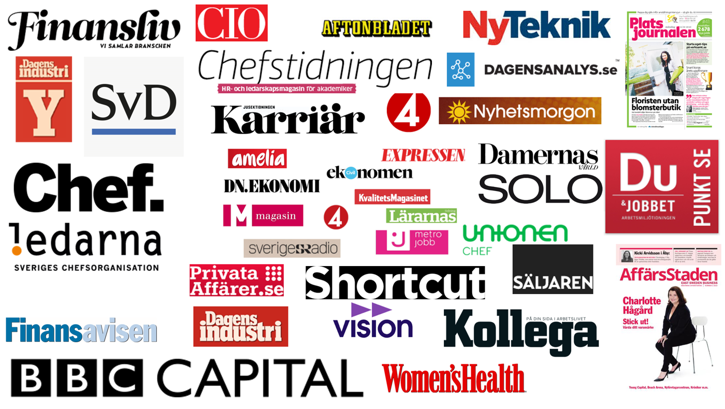 ★ MEDIA PERSONALITY: Charlotte is frequently interviewed in the media and radio all over Sweden and BBC. 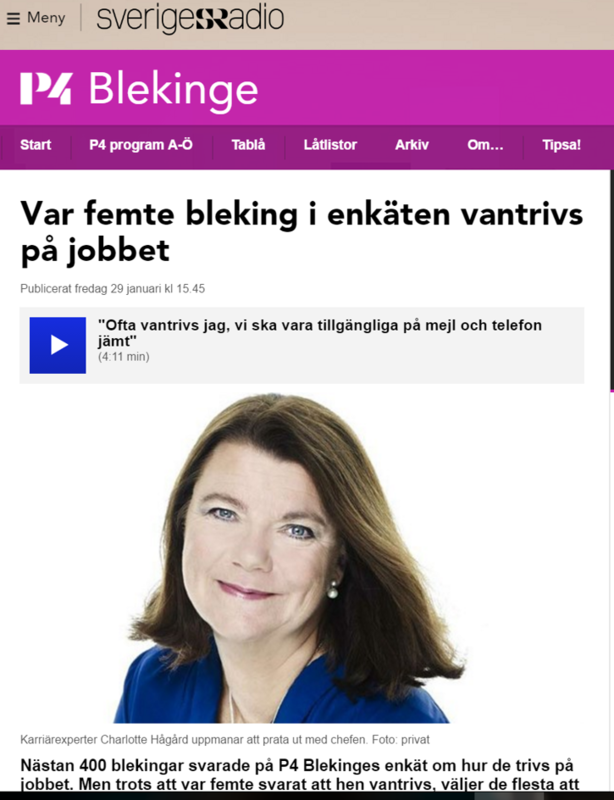 She has had her own career column in Sweden’s biggest newspaper, Dagens Nyheter, and been a popular career coach on TV4 morning show. Charlotte is since 25 years a nationally and internationally recognized thought leader and popular speaker on personal branding in social media and LinkedIn, career planning and the new world of work. 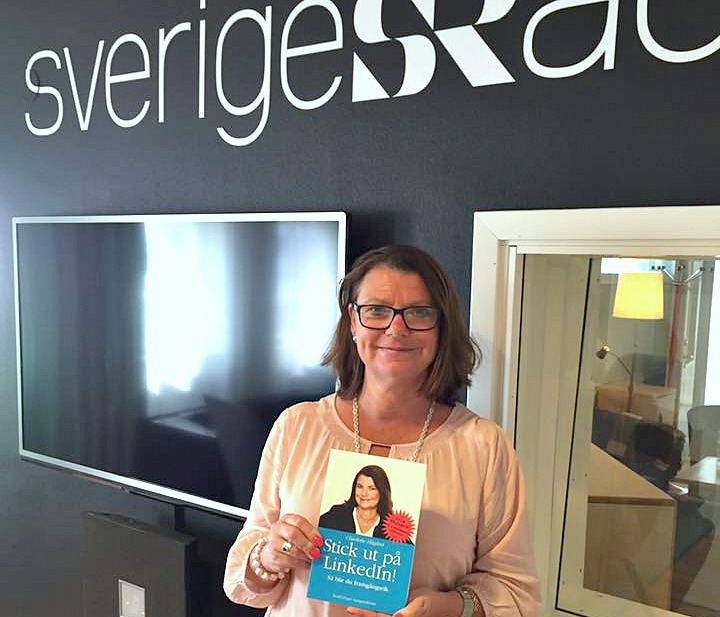 She has given 1000+ mediainterviews over the years. 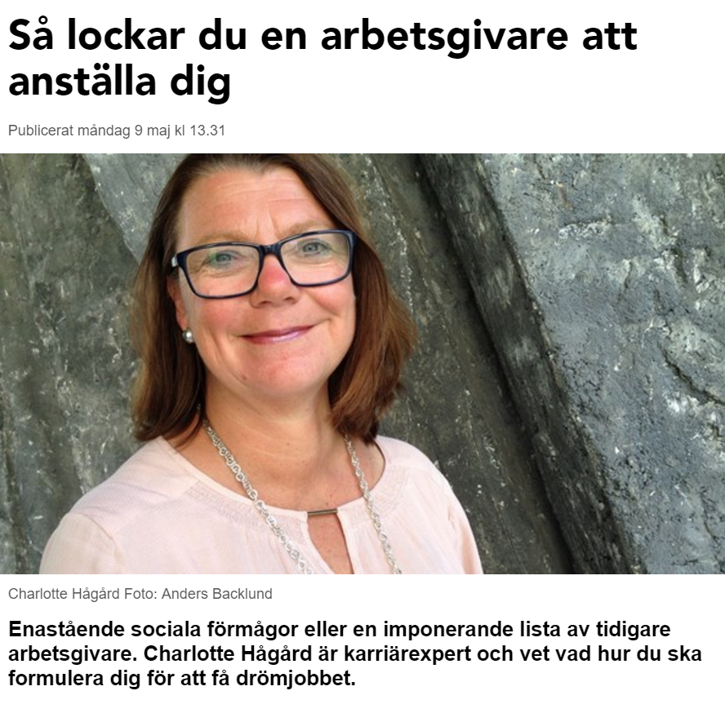 Contact Charlotte at info@charlottehagard.se if you want to publicize any of the texts here.